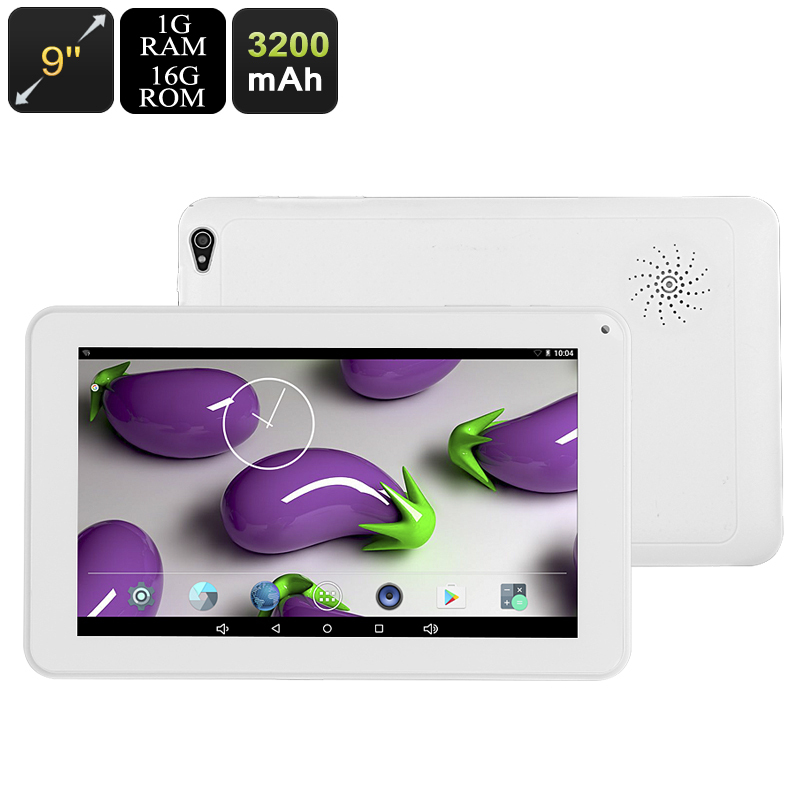 Successfully Added Android Tablet PC - Bluetooth, WiFi, OTG, Quad-Core CPU, 1GB RAM, 16GB SD Card Slot, 9-Inch LCD Display, 3200mAh, 2MP Cam to your Shopping Cart. This cheap tablet PC is a great gizmo for keeping your kids entertained during upcoming holidays and road trips. Affordable and durable, this Android tablet has been made to withstand the active lifestyle of your child. It comes packed with a Quad-Core processor and 1GB of RAM. Together, this hardware brings along enough power to tackle all the basic software features available. Whether it’s games or movies, this tablet computer supports it all. All your favorite media can be enjoyed on its beautiful 9-Inch LCD display that brings forth crisp HD resolutions. With a 3200mAh battery, this Android tablet PC packs enough juice to get you through 3 hours worth of continuous usage time. This is enough to watch several series, a movie, or play games for hours in a row. By treating you to 8GB internal storage and a 16GB SD card slot, you’ll have plenty of memory available to keep your files and media. Naturally, this memory can also be used to store the pictures and video that you’ve snapped with the tablet’s 2MP camera. An Android operating system brings along great entertainment possibilities. You’ll be able to enjoy the latest Android Apps, games, and more. WiFi support even lets you browse the web whenever you wish. To further increase your overall user experience, the Android tablet supports Bluetooth and OTG. No matter your demands, this cool electronic gadget is sure to meet them all.